Fabreeka’s commitment to the science of vibration control is shown by the technical expertise, product knowledge and design solutions offered to our customers. 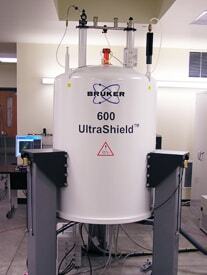 Fabreeka has provided vibration isolation solutions for all types of high resolution MRI, NMR and Cryostat equipment ranging in size from 300 MHz to 900 MHz. All pneumatic isolator hardware for NMR applications is made non-magnetic using stainless, aluminum or brass and is designed to interface with the existing magnet support brackets at the desired height. Vibration isolation solutions include vibration measurements and the design of the support structures, including structural and dynamic analysis.